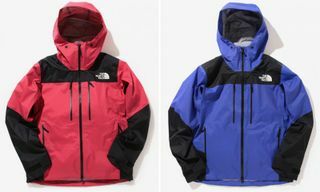 To meaningfully speak to serious outdoor gear heads, streetwear fans, and your everyday adventurer is a tricky balancing act, but one that The North Face manages with ease. 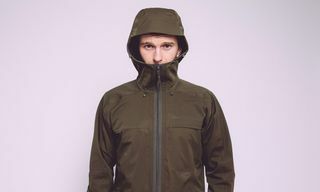 Starting as an outfitter for mountain purists, in recent years the brand has been making waves in the lifestyle space with fashion-forward collections and technical products designed to face the city’s elements on a daily basis. 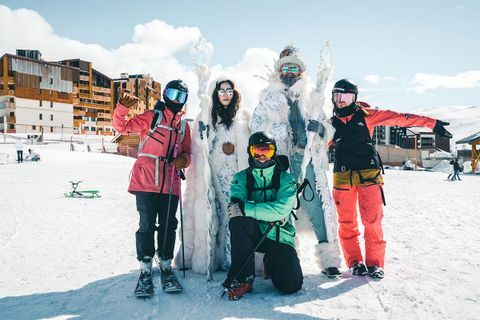 While the brand is set on catering further to the emerging generation of urban explorers, it is, simultaneously, striving to bring more of those adventurous city dwellers into the great outdoors in a push to make the mountains a more accessible, democratic, and diverse place. 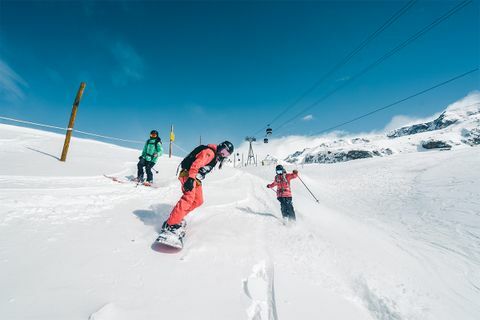 The mountains and, in particular, snowsports, are inaccessible for the majority. Gear is expensive, there are geographical limitations, and if you’re not used to venturing into the wilderness, then knowing where to start can be daunting and involve a significant amount of research. 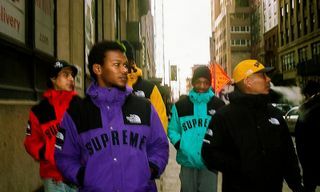 With such high buy-in, it’s not surprising that these activities are often seen as elitist, an image that The North Face is set on changing. 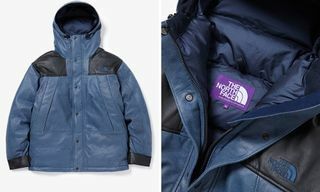 To counter this belief, the brand is raising awareness and curiosity about the outdoors by bringing The North Face logo into the city via more affordable gear, offering grant programs to NGOs that give those without the means access to the mountains, and sponsoring events that enable it to reach an audience that wouldn’t normally come into contact with snowsports. 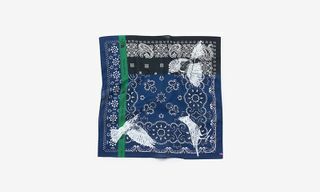 The most recent example of this is the brand’s team-up with music festival Tomorrowland. Starting out 14 years ago as a small electronic music festival in Belgium, Tomorrowland ventured into the French Alps for the first time this winter to bring music and snowsports together. 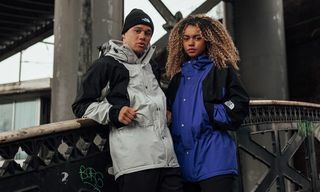 The premise of the event is to celebrate unity, diversity, and inclusivity – values which resonate with The North Face’s vision. 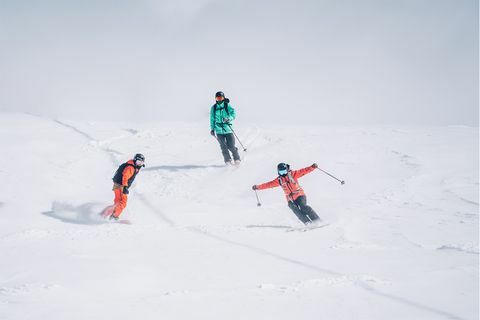 Tomorrowland is just one example of the brand’s efforts to bring snowsports to those who wouldn’t normally have the chance to try them. Aware that one of the main barriers to the mountains is cost, the outdoor brand has invested in charitable programs such as the Explore Fund, which provides grants to non-profits that are helping people of all backgrounds and all experiences to explore the outdoors. 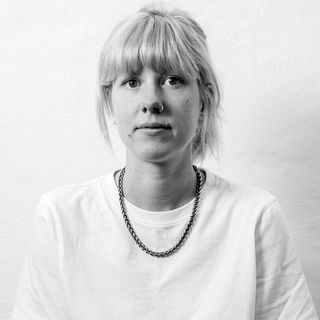 So far the company has granted $3 million to more than 500 nonprofits in the US and will be opening up the program to European organizations this year. Other endeavors include the She Moves Mountains campaign, which gave 1,600 girls the chance to experience mountains for the first time. 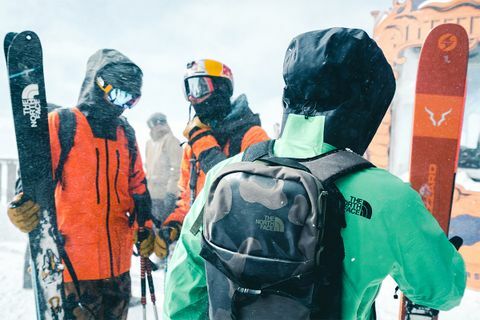 Stay up-to-date with the latest from The North Face by following them on the ‘gram.